Teaching your kids to Save – The right way!! During a class one day, I asked the students who earned money and how they spent it. 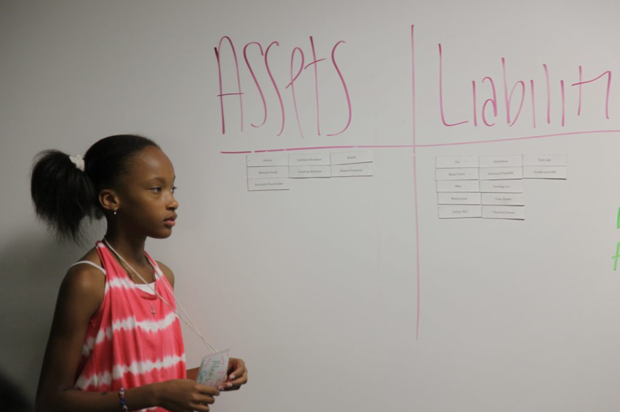 One of the students said, “I earn money, but my mom takes it from me.” At first, I felt so sorry for this young middle schooler but then I realized that it might be that mom was taking it to put it in a savings account. The lesson here is you aren’t’ teaching your student anything by forcing them to save in comparison to teaching your kids to save in the right way. Don’t force your kids to save a certain percentage of their money. So many parents do and unfortunately, when the student gets access to the account they spend it faster than you can blink an eye. Encourage them to build assets instead of saving for something that will have no future value (the video game or a pair of shoes). Open a custodial brokerage account with your student. Consider matching what they save as long as they leave it alone to grow. They can easily put $100 in an account that has no minimum required and no annual fees to purchase a share or two of a company they know. The kids I see that have investments are proud that they own a share of such a well-known company and they want to save more. This makes it their choice, not yours and starts them on the path of building better habits.